As humans, we’re always looking for shortcuts: to our health, to our finances, to our love lives, to everything. And there may be no greater shortcut than taking a pill that makes you smarter and better able to deal with all the rest of it. But are so-called “smart drugs” like this — called “nootropics,” in the scientific parlance — really going to happen? Despite the lack of comprehensive evidence as to their efficacy, the current wave of smart drugs like Modafinil or Noopept is emerging as a notable chunk of the dietary-supplements industry (under which they’re classified). As a whole, this industry is a global behemoth, worth $133 billion; Chris Dziak, founder of Pure Nootropics, estimates nootropics themselves make up about $1 billion of that figure domestically. Companies like HVMN (formerly Nootrobox) and Nootroo are attracting serious investors and plenty of media coverage, while brands like Bulletproof are capitalizing on the food-and-beverage side of this brain-hacking vibe. None of this should be surprising, considering modern society’s never-ending appetite for taking the easy way out. Popularized in part by Silicon Valley’s tech class and their hyper-competitive, self-optimizing, always-on ethos — the kind of folks for whom the words “hack” and “disrupt” are turn-ons — more people than ever are taking combinations of these brain-boosting pills, referred to as “stacks” in the nootropics community. 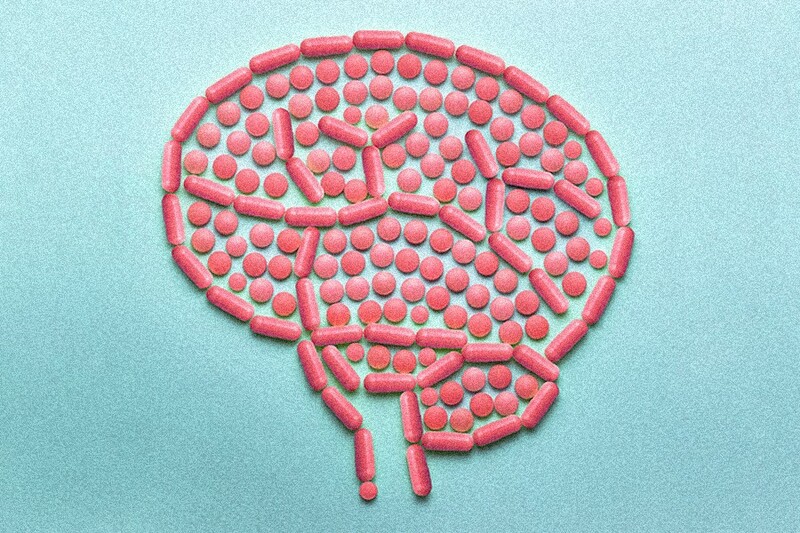 They’re an enticing prospect for sure: Nootropics promise a host of benefits, including longer attention spans, more productivity, clearer thought, lucid dreams and calmness. But if you think they’re going to transform you into a genius or give you superhuman abilities, think again: Even the industry’s most ardent supporters don’t promise an experience akin to Bradley Cooper in Limitless. As Dave Asprey, founder and CEO of Bulletproof, host of its popular biohacking podcast and one of the early influencers of the industry points out, many people new to nootropics struggle even to “feel” the effects, since there’s no immediate buzz in the way you get with caffeine or nicotine. So what, exactly, can we get right now? 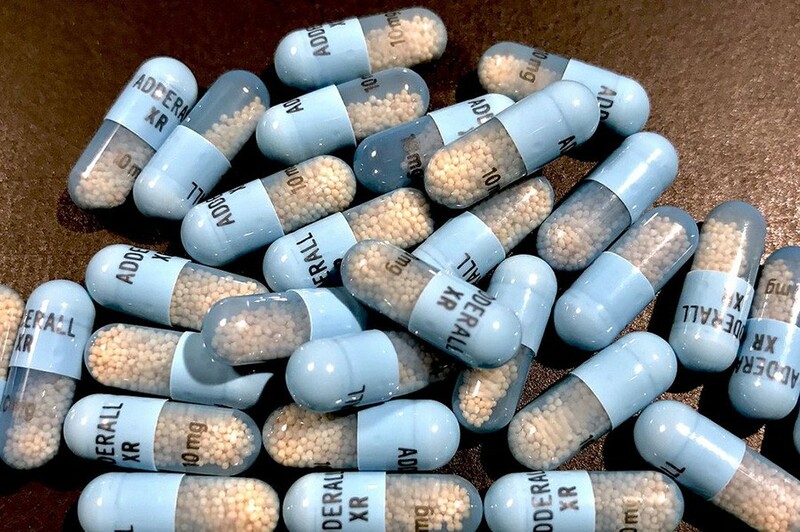 Among the most popular nootropics currently on offer are Modafinil (supposedly the inspiration for Limitless — it promises better mental processing and resistance to fatigue, but it does require a prescription); piracetam (enhanced cognition); L-theanine (calmness); and Noopept (better productivity). Intriguingly, many people also consider “study drugs” like Adderall and Ritalin to be nootropics as well, since they do help you focus. It’s such an open-ended category, in fact, that some people are even microdosing LSD under this banner, claiming that a small-enough dose makes them highly productive and able to focus. One reason the lines are so blurred on what is and isn’t considered a “smart drug” is that there are all sorts of chemicals that affect our cognition in different ways, and it can be hard to pinpoint exactly what effects are being caused by which drug. Some nootropics, like acetylcholine (and Adderall and Ritalin, for that matter), are dopamine neurotransmitters, meaning that they increase dopamine levels in the brain, helping to sharpen your focus. L-theanine, on the other hand — which is commonly found in green tea — reduces your body’s stress responses. Most, however, have never been clinically tested at all, according to Daryl Davies, a clinical pharmacologist at the University of Southern California. And even if a drug does show clinical benefits, there may still not be any hard scientific evidence to back up these results. Davies, who has studied supplements and herbal remedies for 25 years, has some serious cautionary advice when it comes to both nootropics and supplements in general, however. First, he says, it’s important to keep in mind that a drug’s effect can vary widely from person to person: Just because a drug works for one person doesn’t mean it will for someone else — this goes for any drug, of course. Second, remember that combinations of drugs don’t always mix: While many people may not even consider the consequences of mixing something labeled a dietary supplement with a prescription medication, it’s always worth being cautious and checking with your doctor. Third, and perhaps most vital, is to pay close attention to where these drugs are coming from and who’s making them. The dietary supplements industry is an enormously powerful lobby, which is why it has avoided most meaningful regulation and this stuff isn’t FDA tested before it hits the market. Davies claims that there’s enormous variety in not only the sourcing of these drugs, but also the dosage found in pills. (Some, when tested, have none of the advertised ingredient at all.) And even why they do, it’s not clear if the source used the leaves of the plant or the root and/or if there was arsenic or lead in the soil. Most seriously of all, he cautions that foreign manufacturers, often in China or India, commonly spike pills with a seriously active ingredient like Adderall or even amphetamines to increase the perceived effect, while the consumer has no idea they’re taking ingredients like these. This is a recipe for disaster, not least of which because nobody knows the real dosage of those ingredients. Another potential problem, Davies says, is that if you overstimulate the brain, you can get brain burnout, where your neurons start to prune and pull back. Knowing that, he says, it’s hard for a pharmacologist like himself to say, “Go ahead and have that pill.” Brain burnout — something that more commonly happens to amphetamine users — is very real: When you mess with your brain’s reward system, it can lead to issues as wide-ranging as depression, addiction or even schizophrenia. But say we get there: We figure out the complexities of our central nervous system and discover exactly how our brains evolved, then devise a pill to hack into our brain and unleash that famous “90 percent” we’re not using (the 90 percent thing, incidentally, is a complete myth). What happens to our society when everyone is suddenly a genius, or has the capacity to become one? The government, meanwhile — according to Fringe and the movie Push, to name two examples — might try to control the use of smart drugs in order to create their own teams of super soldiers. In other words, she says, sci-fi literature, as it often does, warns us that with all innovation comes a need to consider the moral and ethical implications: To ask, as ever, not just if we can, but if we should. Not that we have to worry about any of that at moment. We’re a long, long way from having drugs that radically transform ourselves or society (in a positive way, at least). As for the current crop that are available, Davies claims that simply eating well, exercising a bit and getting enough sleep will do exactly the same things that nootropics, as they exist now, claim to do. But then, where’s the easy shortcut in that?